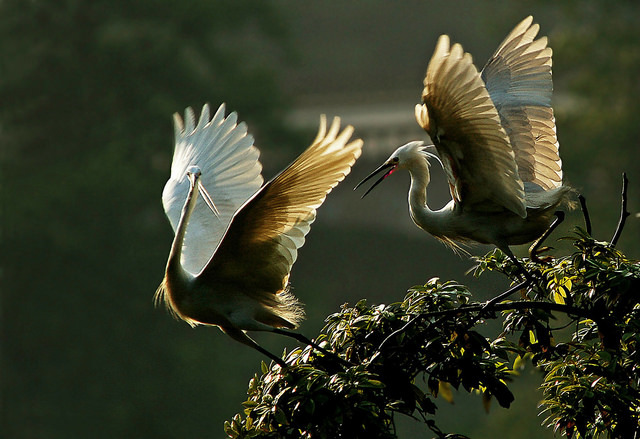 The World Migratory Bird Day (WMBD) website is the information centre of the global WMBD campaign. You can use the website to learn more about WMBD, to register your event and find out about what others are doing around the world, to download WMBD information materials and to read up on the latest WMBD news. We see it as our central hub for information dissemination and as a vehicle through which we can try to reach out to bird enthusiasts and interested people around the world. Our goal is to use the growing infrastructure of the World Wide Web to communicate globally and to help stimulate knowledge of, and international participation in WMBD. But the WMBD website is only the start - with your help the WMBD can be much much more. Let's make World Migratory Bird Day 2017 the most successful ever! How can you as an individual contribute? Are you passionate about migratory birds? Would you like to help to raise awareness about them and to conserve them and their habitats? If so, please read the following list of ideas on how you can take action. Social media are powerful tools to spread our message. Please connect with our growing Social Media Community and share what you are doing to raise awareness and conserve migratory birds, upload your unique photos, artwork and interesting resources using the #WorldMigratoryBirdDay and #WMBD2019. Please share your wonderful photos, drawings or any other inspiring materials! They can be easily uploaded to the WMBD Flickr Account by using our Flickr Email Uploader. Make the WMBD Gallery colourful and interesting for others in the WMBD Community while also promoting your own projects and organizations. 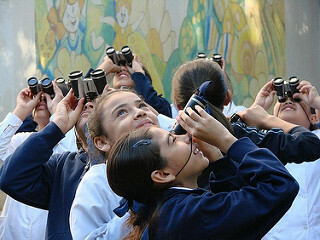 Organize an event to mark World Migratory Bird Day - no matter how large or small! Register your activity now and give it a global presence. 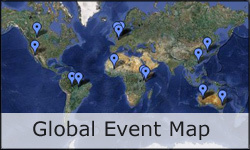 Feel free to explore the WMBD Global Event Map for inspiration. We would love to have the WMBD materials in as many languages as possible! We currently only have the financial and human capacity to offer our materials in English, Spanish, French, Russian, German and Chinese. Do you speak another language? Please help us to translate parts of our WMBD materials into your own language (such as the WMBD Poster and Flyer) and let us know. Be creative and produce a video about migratory birds! Don't forget to share your work on social media using the #WorldMigratoryBirdDay. Don't limit your imagination - go wild! Do not miss the chance to be the producer of this year's official WMBD trailer and to win a cash prize. Please find all contest details here. Are you a journalist and interested in or enthusiastic about migratory birds? Please help to spread the word through media and your networks. Let the world know why we celebrate migratory birds and how everyone can contribute to the conservation of them and their habitats. Please contact Veronika Lenarz for further information and interview arrangements. Give your feedback on our texts and website - help us improve them! If you have ideas on how we can improve our texts (both in terms of language and content) please write to us. Now it is your turn to suggest ways you would like to help us! Any contribution is highly appreciated! We hope that the collective World Migratory Bird Day energy and commitment we witnessed in the past years will carry on this year and in the years to come. Help us make WMBD a sustainable, thriving global initiative - take part in it! Every contribution counts! Together, we will make a difference!